Toly is known for having unique packaging. One of our finest designs is the 'Slice' compact. With its versatility a different look can be achieved depending on the colour, decoration and texture used. This compact's luxury and sleek design, incorporates a unique slanted lid and base and a flat lid which can be fully decorated. 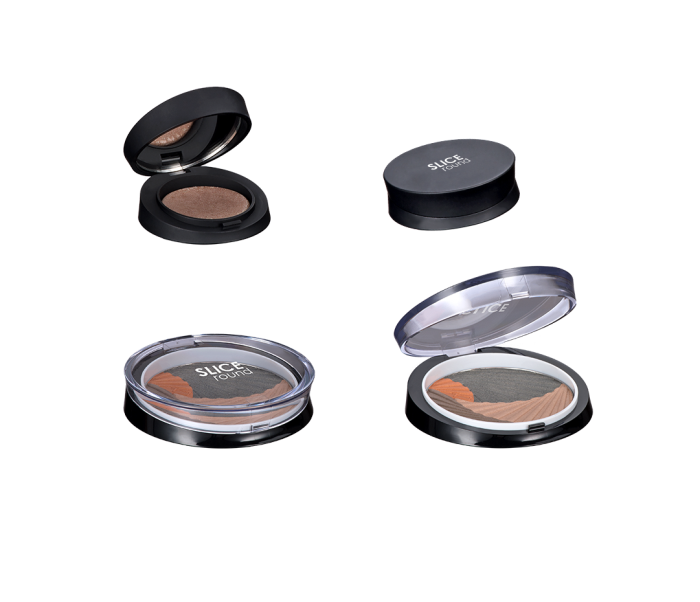 This round stock line is available in 2 sizes: Face Powder and Eye-Shadow.